Well, as of yesterday I was FINALLY able to watch the season finale after somehow dodging every single spoiler for the last couple of days. As always my review will be spoiler free, BUT I will write a spoiler talk later on. So, the season is over, leaving us with one final season of Game of Thrones. As far as I can tell this season has had a LOT of mixed reviews with seemingly no one in between. You either love it or hate it. I however AM in between. Although this season had a lot of fan service and we were able to see things we have all been wanting to see for seven years now, I felt like maybe it did that TOO much. I was able to predict almost everything that happened this season from the first episode and that is not what Game of Thrones is about. Game of Thrones is about the unexpected. Remember the red wedding? It almost feels as if the writers are afraid of upsetting the viewers now. What this season was more than anything though was an exposition season. A whole season of set up for the massive pay-off next season. I’m fine with that though! Sometimes things like that make the best episodes of Game of Thrones and I am now more psyched than ever for the final season. 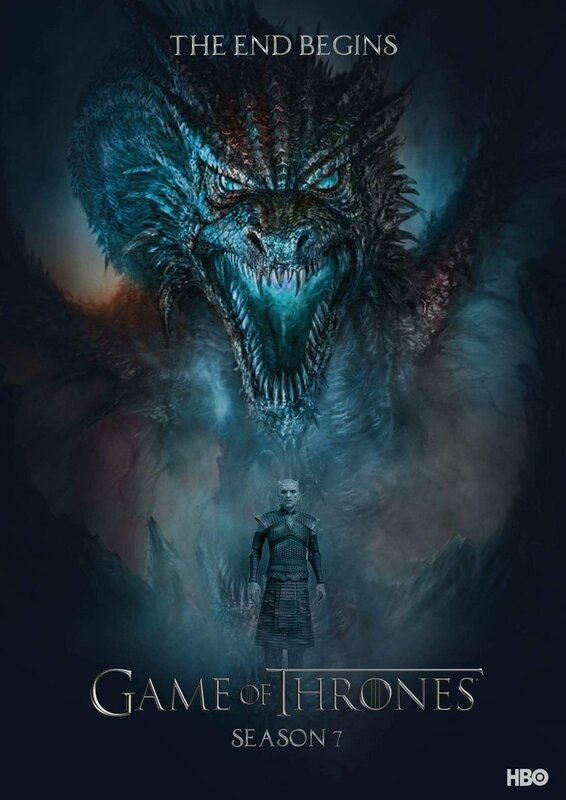 All in all although this season was missing a lot of the trademarks of GoT, it was a very good season, if not just for the fact that we are finally getting payoff on stuff we have wanted for years! I was surprised a few times. Also spent a lot of time holding my breath and standing up yelling at the screen. LOL I didn’t want it to end, and I feel that the seasons are too short, but perhaps I’m just greedy for GOT. I for one was surprised that they finally offed Littlefinger, though. Surprised but definitely not unhappy. 😉 Thanks for swinging by the Ranch and for the follow. We ❤︎ visitors, especially fellow G⏀T watchers.